This saves me from buying random items while out and about. I get this stuff for next to nothing on super saver days at Walmart type shops, grocery stores, and even Goodwill shops. Easy. What's with the cheese? Well-we eat massive amounts of cheese here, so I had to start a system to save some cash. I buy large bricks of REAL cheese- at least 1 pound or more, then cut it up into little blocks. This lets my kids grab some bites of cheese without having to purchase the ready-made packaged cheese bits. It also helps me gauge how much to use in cooking and salad dishes, no need to buy expensive shredded cheese or crumbled bits. (Those are expensive!) I save loads doing this. My latest find --an awsome hair coloring kit that gives fantastic results for under $13--amazing. I bought mine on discount for $10. I did it in 2 hrs, and my stylish even commented on it. I go to her for haircuts only. This way I pay $20 for a haircut with no extra cost. SAVES me hundreds of dollars! This is "cherry jubilee" by L'Oreal Colour Expert. I like the result, what do you think? I use spray paint to "upgrade" so much stuff! I should be their spokesperson. I have made some pretty cool stuff with spraypaint, if I do say so myself. This is a sneak peek at my next creation. It's not done yet, but I will post it ASAP. 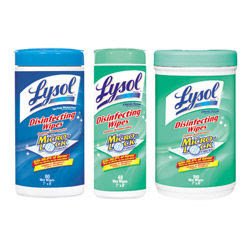 You know those Lysol wipes that cost $8 a container? I like the convienence of wipes at my kitchen counter to soak up coffee spills and messy cooktops, but I don't want to pay $8 for 35 wipes. I mean come on! I buy "baby wipes" --the el cheapo kind in the 1982 container style and add 1/4 cup bleach to it. For $2 I get 140 wipes= at least 70 cleanups. Beats the pants off $8/35 cleanups. For your first question- yes I love your hair you did a great job. 2nd question on frugal tips - my husband would like the answer from me on that too! Have a great weekend friend:) Shelley O.